When I visited the Agta people in February, 2015 and discussed what the biggest needs were, the answer the village leaders gave was that they wanted their children to be able to move up to higher education. Although elementary school is provided by the government, the cost of continuing into high school and beyond was cost prohibitive. 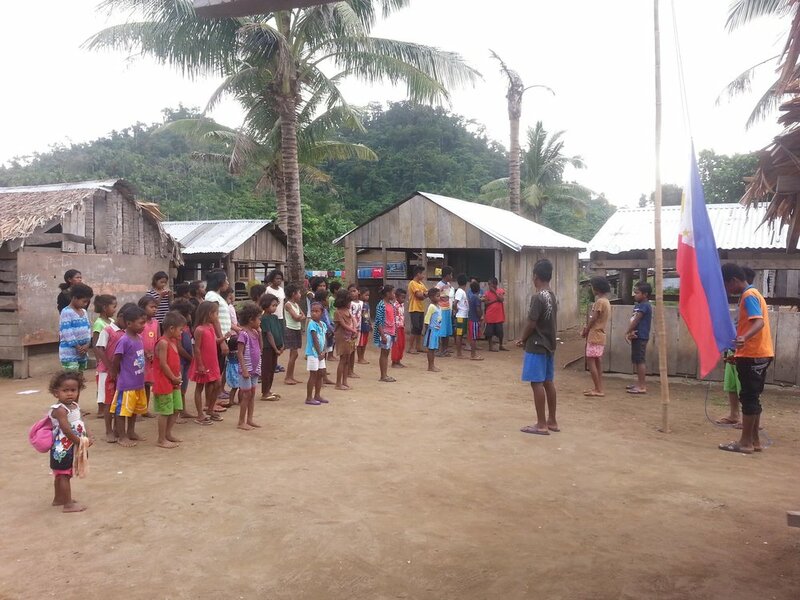 There are over 100 Agta children in several elementary schools. Their hope is that we would help them continue past 6th grade. The elementary school in Dipontian Village has about 65 kids, from 1st through sixth grade. Here, the students and teachers are getting ready for the morning flag raising.